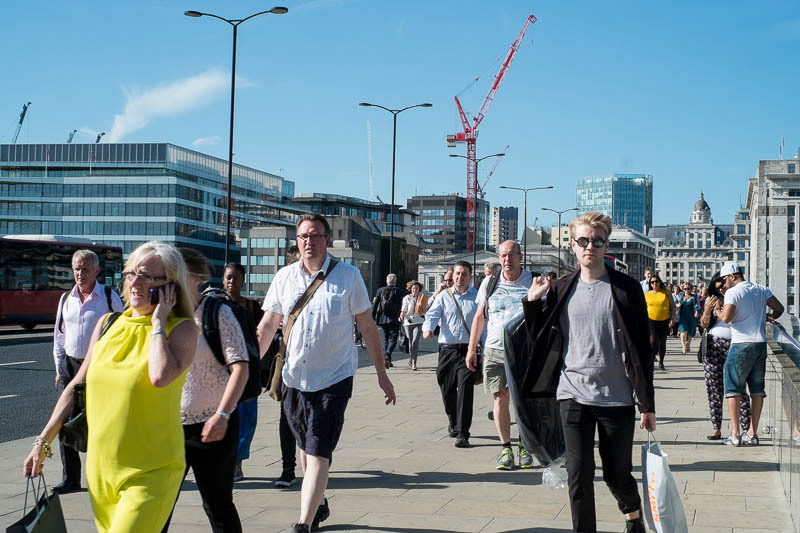 Some of the 98,000 rush hour commuters heading for their train at London Bridge Station. I'm pretty sure they will miss it. That was my closest station back in 2006 when I was there and I noticed it was a very busy station. It looks like pleasant weather. they must be in a hurry, at least that's what it looks like.